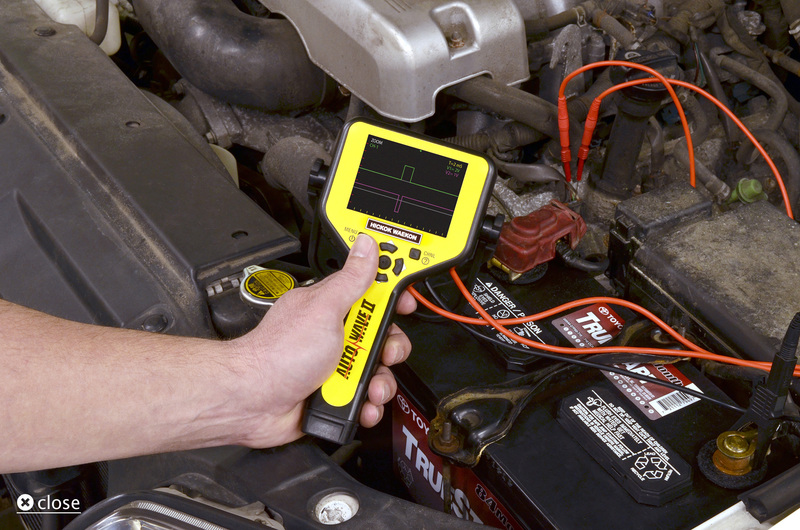 Technicians now have the ability to easily view sensitive computer signals that scan tools can’t with a portable, easy-to-use tool. 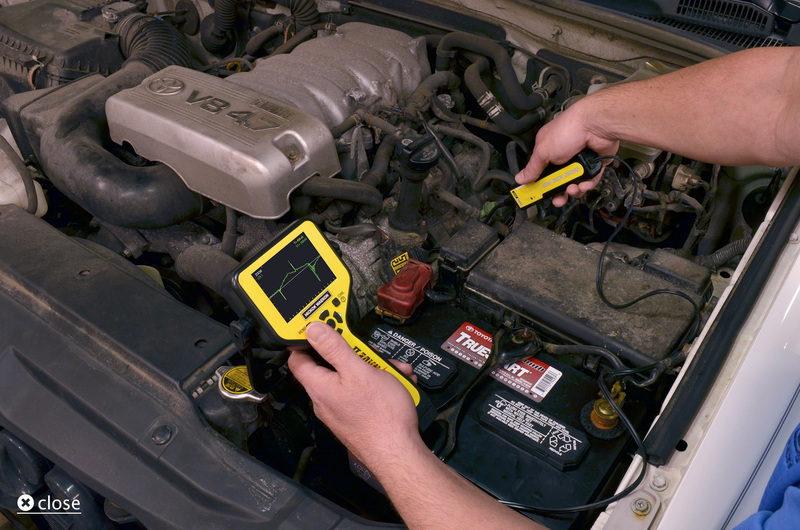 No more expensive, clunky add-on scan tools or PC required scopes to get the job done fast. 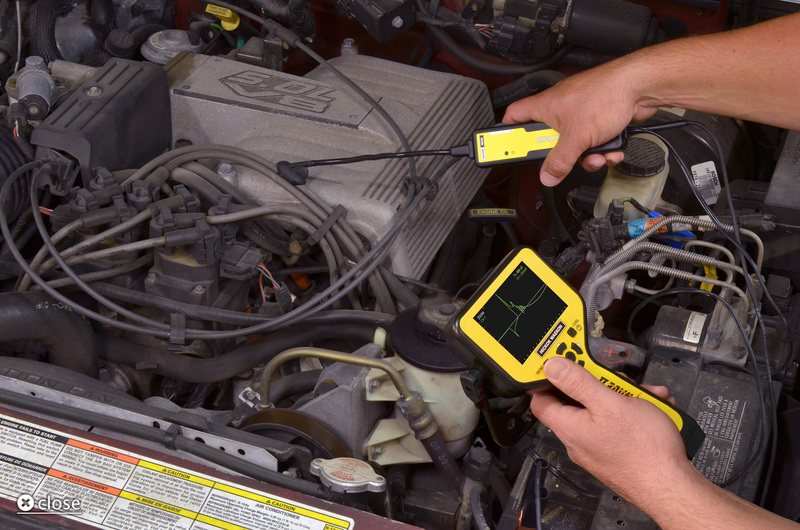 Discover just how easy and powerful waveform diagnostics can be. There is no easier, faster way to view secondary ignition or current ramping waveforms. 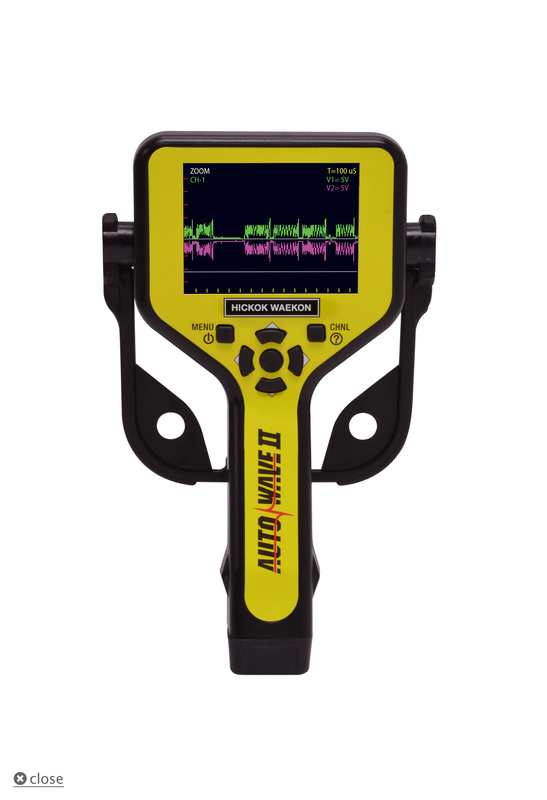 No oscilloscope experience is required with the Auto-Set feature automatically setting the voltage and time scales so anyone can view waveforms. 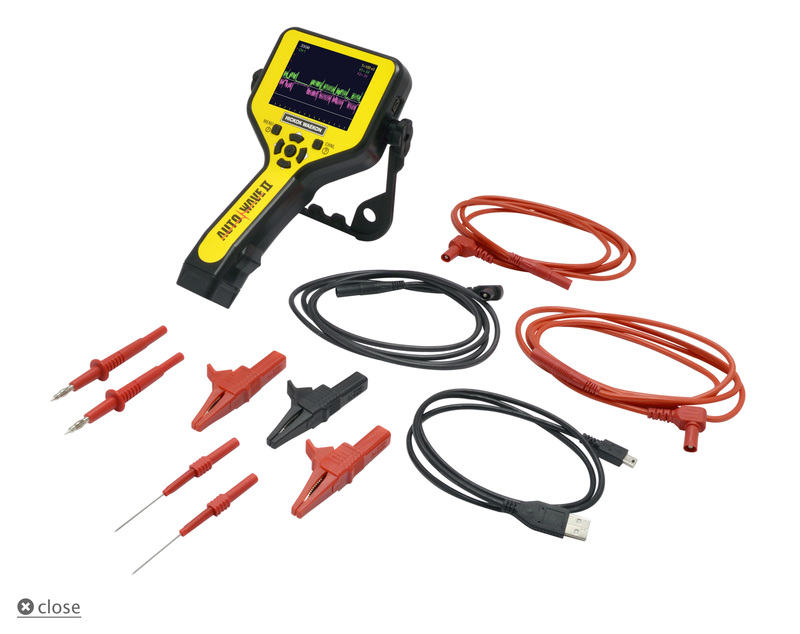 Purchase the optional SIP Adapter* and also view Secondary Ignition wires and COP Ignition systems waveforms. 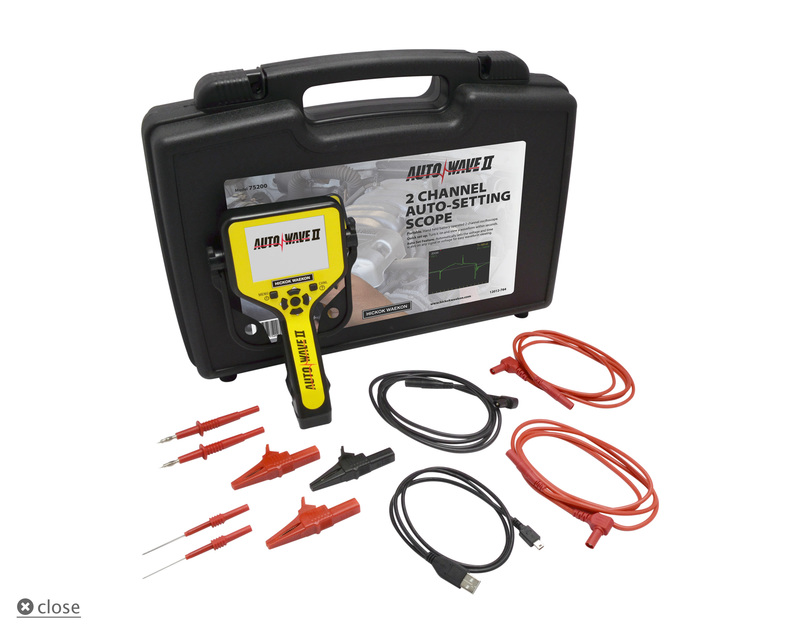 Auto Set Feature — The Auto Wave II can automatically set the voltage and time scales on any signal or voltage for easy waveform viewing. No experience required. 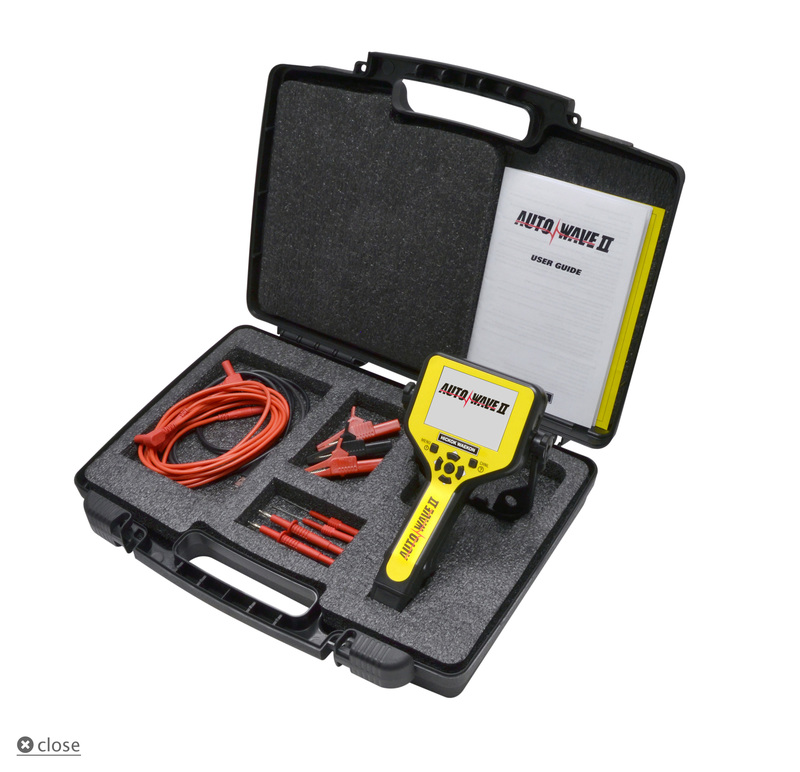 Portable — The unit is battery operated and is stand alone with a flexible kick stand/hanger for optimum handling in any automotive workspace. 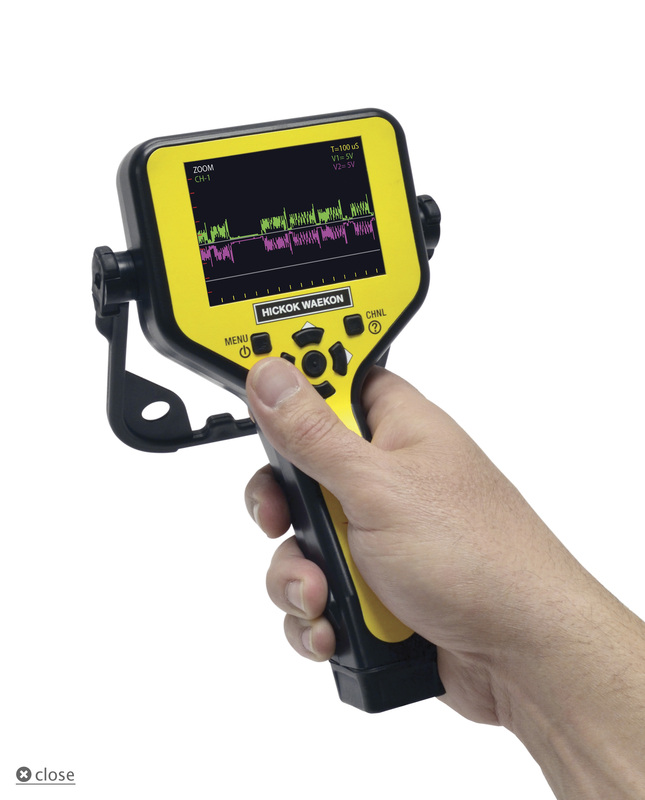 Quick Set Up — Simply turn the unit on and probe any signal or voltage to view a waveform in seconds. Choose the appropriate connection from the included accessories. 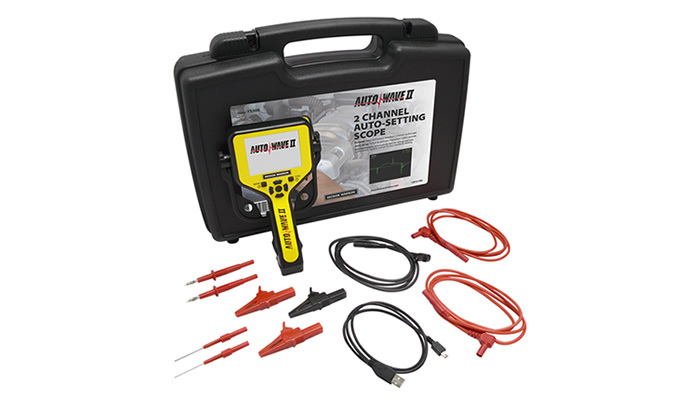 2 Channel — 2 Channels provide the ability to view crank and cam signals at the same time. 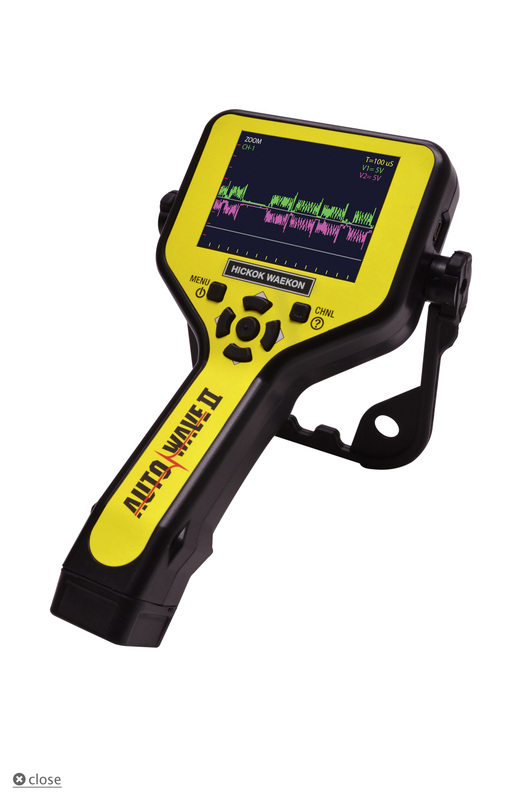 View High and Low speed CAN protocols to verify integrity of vehicle network communications. View/download the .pdf. Includes the key features & benefits. View/download the .pdf version of the User Guide. 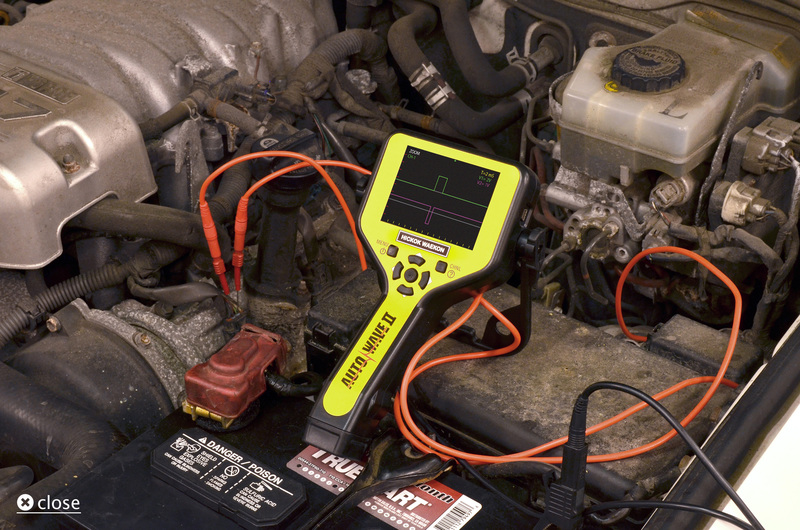 An OE Level Ford, Lincoln & Mercury Diagnostic Scan Tool for Your PC.